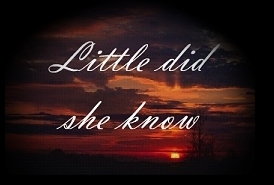 To watch the "Little Did She Know" video please enter your name and email address. You will be immediately directed to the video. Your name and email address will be kept in strict confidence and not disclosed to any outside source. This is simply for logging purposes on our servers.